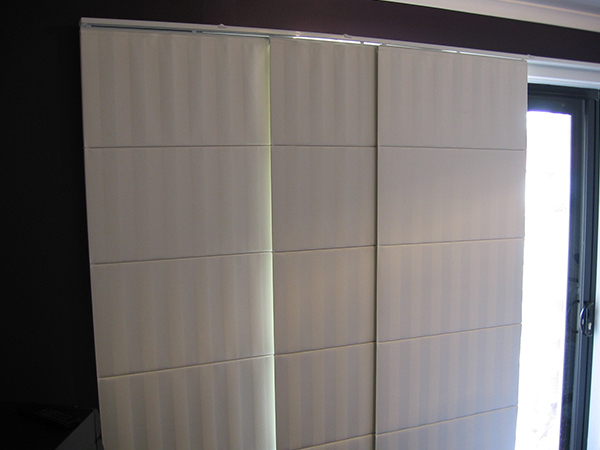 Panel Blinds or panel glides, tracks,bottom bars,made in roxburgh park,Northern subs of melbourne. PANEL BLINDS ; are the versatile and contemporary way to control light, glare and privacy in both domestic and commercial environments. 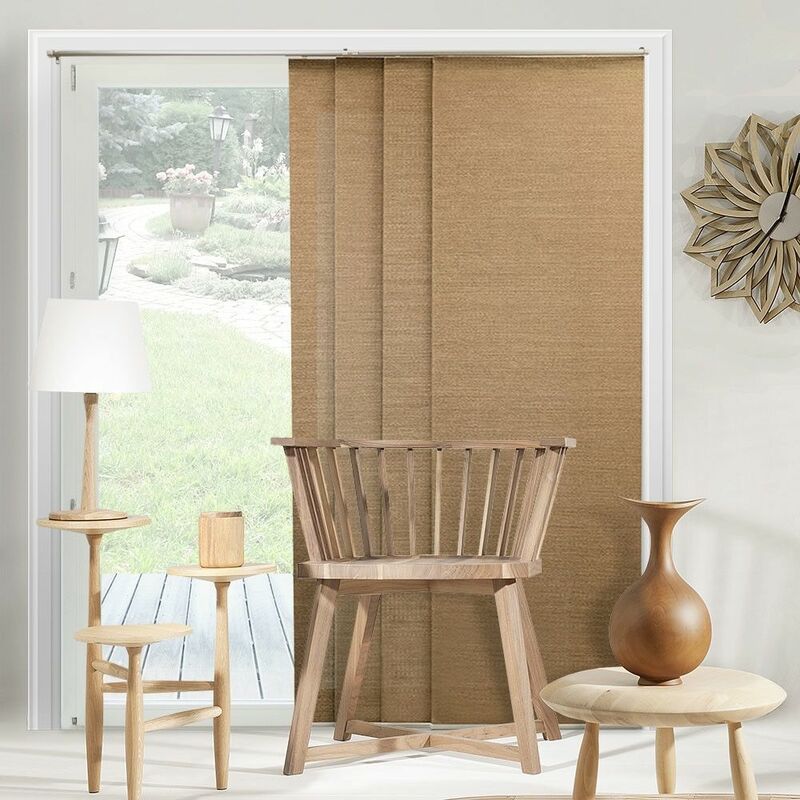 Custom made Panel Blinds are the new and innovative shading solution for larger windows and patio doors that look fabulous in both contemporary and traditional interior design schemes. 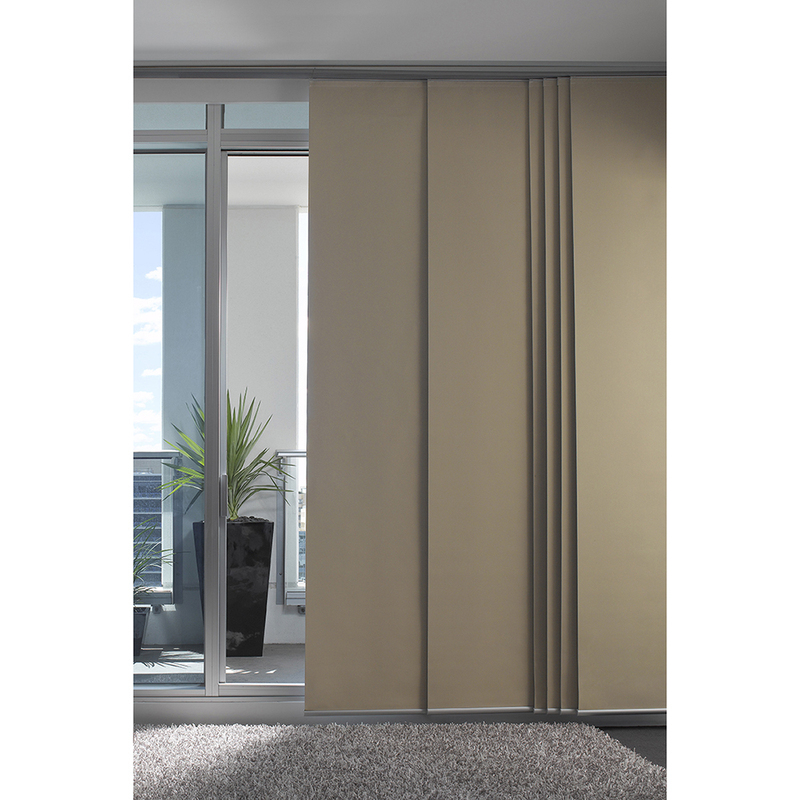 Panel Blinds are also stunning as a stylish room divider. What makes our Panel Blinds so unique is that the wide panels reflect and filter daylight effectively. 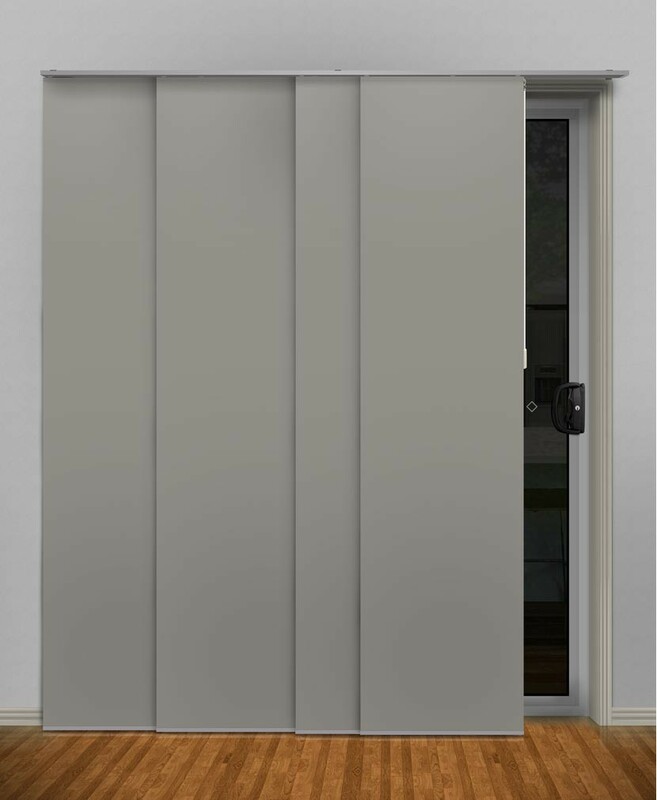 When open, the Panel Blinds stack neatly behind one-another, allowing a large portion of light to enter the room. 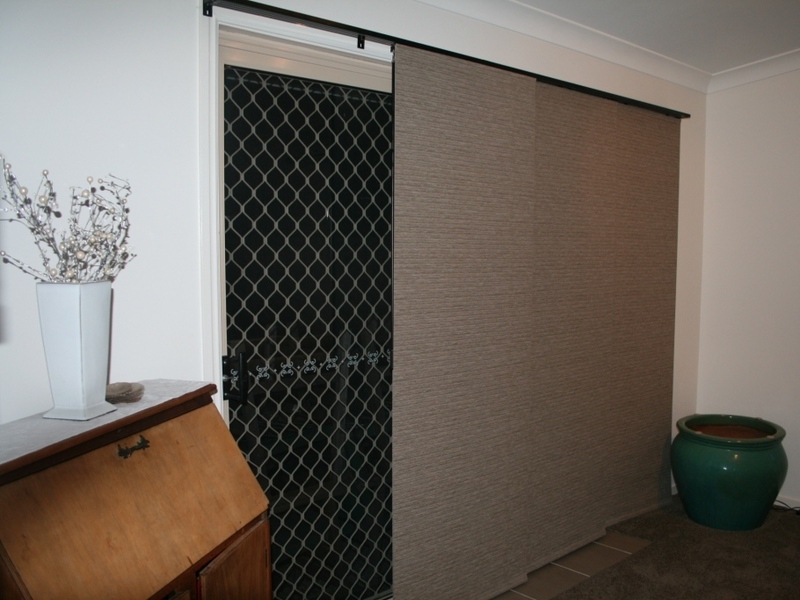 When drawn, Panel Blinds create a complete fabric screen, providing light control and increased privacy. 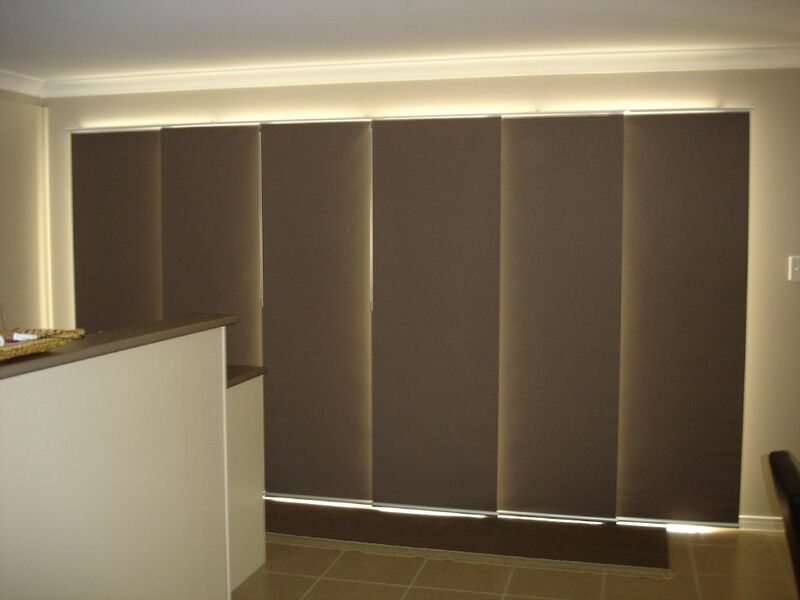 Sliding Panel Blinds are also available, which can create an ambiance in your home. 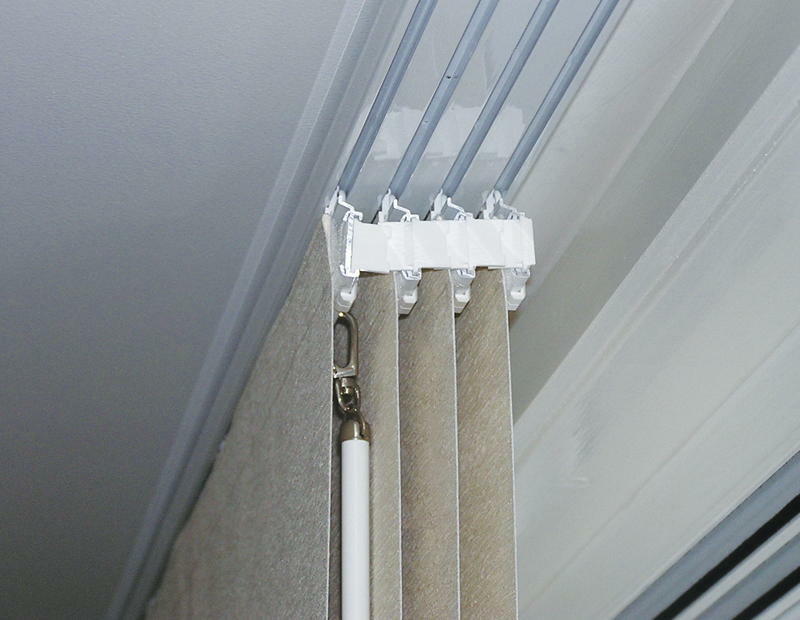 Sliding Panel Blinds are available in a diverse range of colours and designs.